You can park on the street out the front of the shop between 10am and 4pm. Parking is free for 30 minutes, and then £1 per hour (pay at the machine) – Other parking is also available nearby. 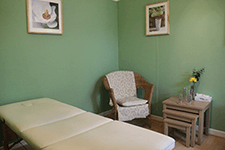 The Bristol Acupuncture & Chinese Medicine Clinic is located in central Bristol (BS6) on Cheltenham Rd (at the bottom of Gloucester Rd, near ‘the arches’) and is well situated near the Stokes Croft, Montpelier, Bishopston, St Andrews and Horfield areas. It’s easy to find – look for the bright red paint on the front! If you come to the Bristol Chinese Medicine clinic outside of business hours the shopfront will be closed – so if your appointment is after 6pm, come round to the back entrance and ring the bell. 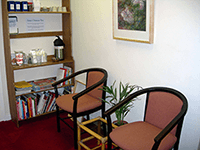 There is a comfortable waiting area, with free tea and plenty of reading matter. Therapies available at the Bristol Chinese medicine clinic: Traditional Acupuncture, Chinese Herbalism, Tui Na massage, Nutritional Therapy, and all Training and Coaching.